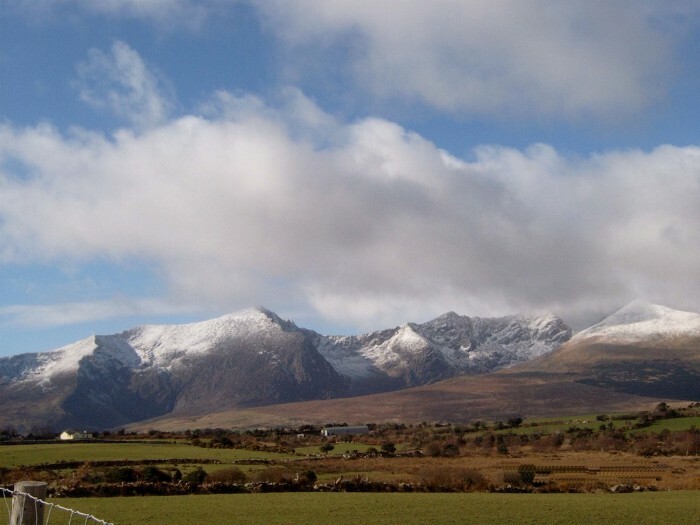 The Brandon Mountains, County Kerry. 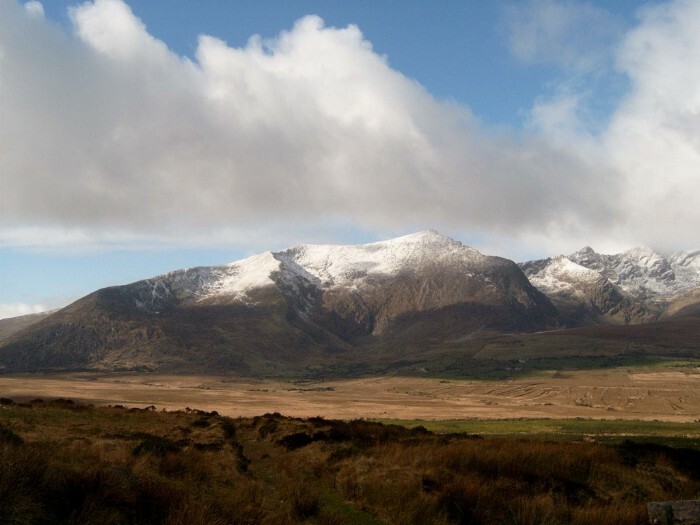 Ireland's second highest mountain is also within the borders of County Kerry, Mount Brandon. 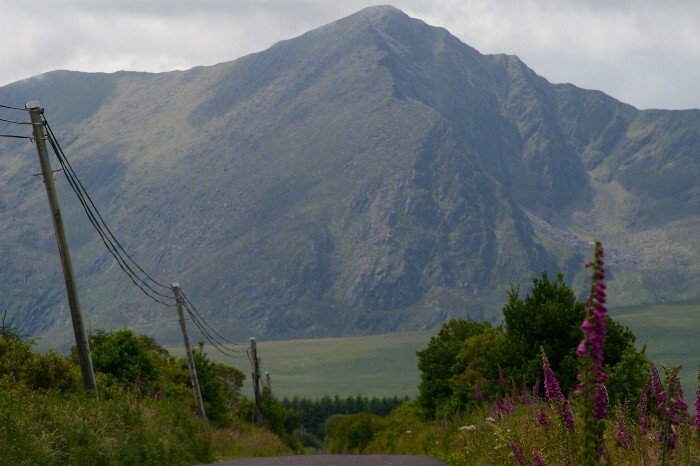 This mountain range is called after Saint Brendan, the intrepid early Christian voyager. He built some monastic cells at Shanakeel at the foot of Brandon Hill, and set out on his legendary journey which is documented in the 'Navigatio Brendani'. These mountains are a famous destination for hikers and pilgrims alike, a not too strenuous exertion will bring you after approximately two and half to three hours to the summit. 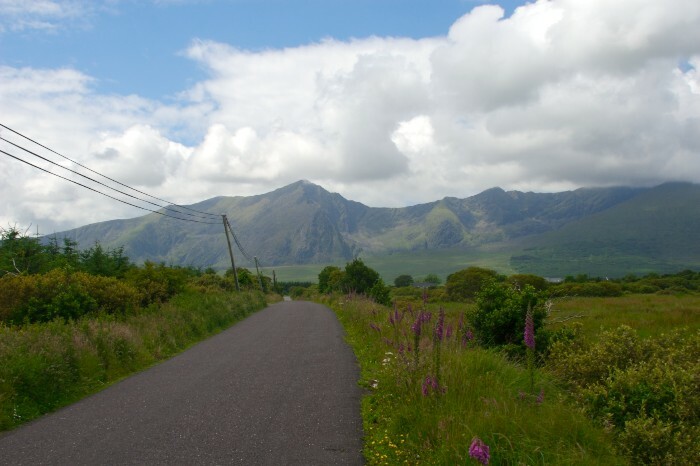 The views from these ridges are monumental and awe-inspiring, and on a fine day one can easily see up as far as Galway, and down toward the Skelligs. I have encountered impressive and powerfully horned wild goats while climbing some of the more demanding ascents of this mountain range. 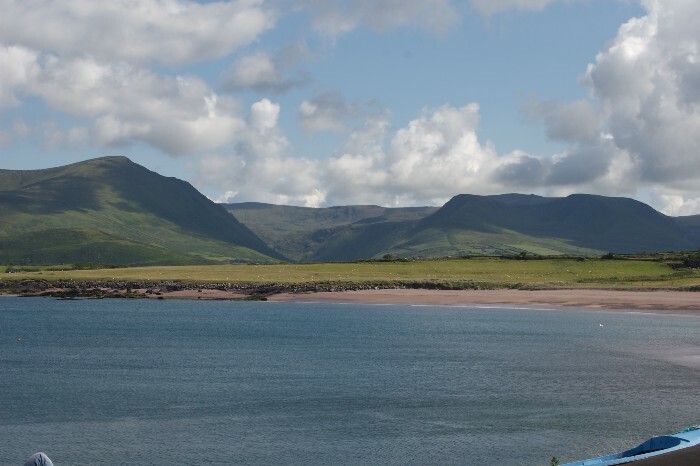 When driving through Cloghane to where one veers off to the right for Faha and the parking area from whence most hikers disembark for the mountain, one could also drive toward Brandon Point, and even stop and have a look at the Pier, and possibly have a pint in Murphy's pub. 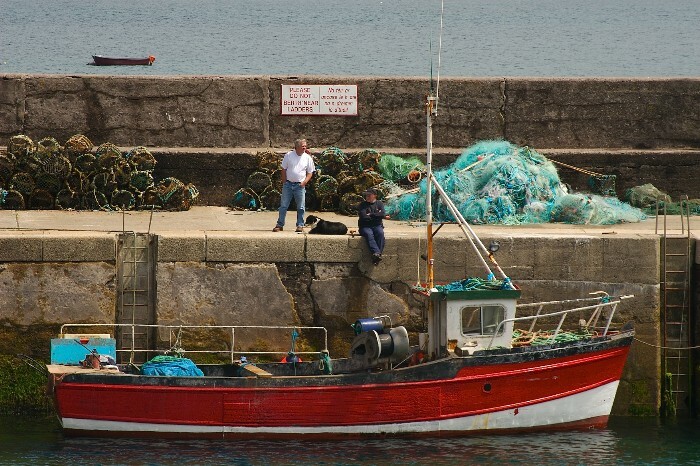 Masses are held here every year, and Brendan's feast day is on the 16th of May.